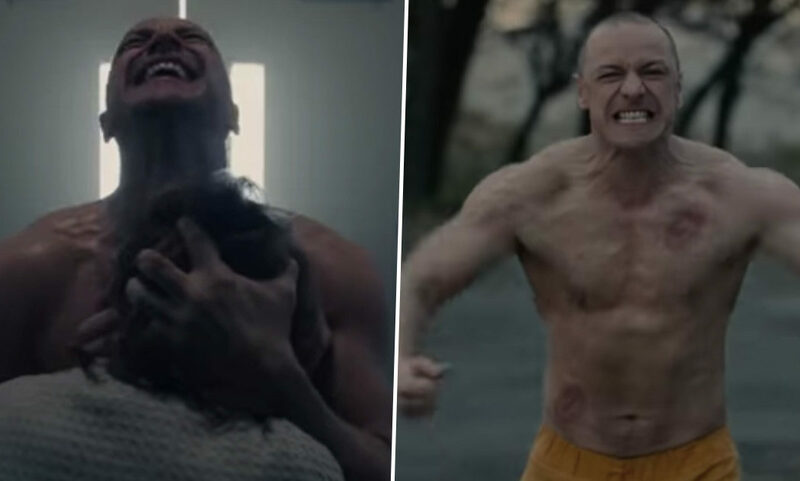 Knowing just how excited we are to see Glass in the new year, Universal Pictures have dropped another trailer to further tease us. In case you have been hiding under a rock the past year, Glass is the highly anticipated third instalment in director M. Night Shyamalan’s subversive superhero universe known as the Eastrail 177 Trilogy (referring to the train accident from Unbreakable). Following on from the events of both Unbreakable and Split, Glass sees Samuel L. Jackson’s supervillain Elijah Price aka Mr. Glass hold secrets which are critical to James McAvoy’s Beast and Bruce Willis’ indestructible David Dunn. While the latest trailer includes footage we’ve seen before, it gives us new glimpses at how Mr. Glass will orchestrate the events of the upcoming film. We once again meet Sarah Paulson’s Dr. Ellie Staple who is studying Dunn and the Beast analysing why they believe they have special powers homing in on the characters’ mindsets. But the real treat is seeing McAvoy unleash the Beast who is seen creepily dangling from ceilings and twisting people’s heads. Ouch! Ever since Unbreakable was released in 2000, there have been rumours Shyamalan was working on a sequel but due to the film’s disappointing box office performance nothing came of it. Following the success of Split though in 2016, these rumours started again when a stunning after credits sting tied the whole plot into Unbreakable. This character, Kevin from Split, was in the original script of Unbreakable. The original draft of Unbreakable focused on David Dunn and Elijah as his mentor. I hope [a third Unbreakable film happens]. The answer is yes. I’m just such a wimp sometimes. I don’t know what’s going to happen when I go off in my room, a week after this film opens, to write the script. But I’m going to start writing. [I have] a really robust outline, which is pretty intricate. But now the standards for my outlines are higher. I need to know I’ve won already. I’m almost there but I’m not quite there. It didn’t take Shyamalan long though as three years after the release of Split the sequel will be arriving onto the big screen. Contained thrillers are my sweet spot where I feel the best, where, for lack of a better metaphor, I can run my best offense. The best version of me can come out where the films are small and the stakes are low and I can try and iterate and take chances. So it’s been good with these movies Split, and now Glass, it’s been beautiful to really get back to what suits me and going up from there. If the trailers are anything to go by, Glass will be a new year treat for film fans in January. Glass will break into UK and US cinemas January 18.